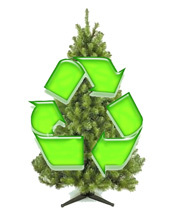 There will be NO change to your trash and recycling collection for 2010. Regular pick-ups will continue during the upcoming holiday season. Please remove all tinsel and decorations. Please do not place trees in plastic bags. Please mark your calendars with these dates. Last year's Snowmageddon produced record snowfall and left many residents stuck in their homes. Don’t get caught unprepared! Check your emergency supplies to ensure that nothing has expired. This is also a great time to make sure that you have enough spare medication to last at least 72 hours in the event you get snowed in. What if you get stuck on the road? Are the necessary items in place in your emergency car kit? 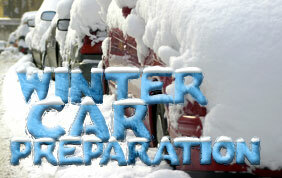 For additional winter preparedness information, visit www.fema.gov/hazard/winter/index.shtm. “White-tailed deer are one of our most common native species. Several factors, including loss of natural predators and habitat modification, have resulted in an abundant local deer population. As the Fairfax Country Wildlife biologist, it is my responsibility to implement a deer management program each year. In an effort to develop the most effective and comprehensive deer management plan, your help is needed. A Deer Management Survey has been designed to collect information from residents throughout the County. Survey results will be used to help develop a program that is better suited to your community’s needs. 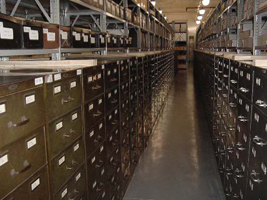 The information that is provided is confidential." Deer have been spotted in Leewood on several occasions and just recently, a deer was killed on Braddock Road as you exit Bradwood Street. Partnering with private corporations and local businesses, Fairfax County firefighters and paramedics are sponsoring the Thirteenth Annual Firefighters Holiday Rescuers Toy Drive, and will distribute toys Wednesday, December 15, 2010, from 11 a.m. until 2 p.m. at Penn Daw Fire and Rescue Station 11, 6624 Hulvey Terrace, Alexandria, Virginia. Department members, the Progressive Firefighters of Fairfax County, Inc., and the Fairfax County Professional Firefighters and Paramedics, Local 2068, have been collecting toys, games, and other items to be distributed to children throughout Fairfax County. Through generous donations and support from businesses and civic organizations including Deloitte Consulting, Inc., Promax Realtors, the Rotary Club of Tysons Corner, and Walmart, it is anticipated that several thousand school-aged children and their families will receive toys and gifts this holiday season. 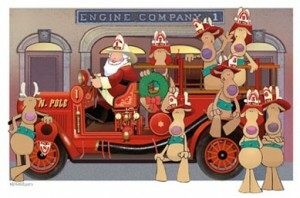 The Fire and Rescue Department, with support from Fairfax County Public Schools and the Department of Family Services, plan to reach a record number of children this holiday season. Farmers Markets are popular with thousands of Fairfax County residents who wish to buy locally produced food for their families. The Markets have a long, rich history with the county. The Fairfax County office of the Virginia Cooperative Extension started the first market in 1978. Eleven weekly markets at locations across Fairfax County now provide area residents the opportunity to purchase fresh fruits, vegetables, baked goods, eggs, dairy products, meats, honey, cut flowers and container plants. This ability to “buy local” supports sustainable agriculture in the Chesapeake Bay watershed. As a “producers only” market program all vendors and products come from within a 125 mile radius of Fairfax County. We have created a guide of Farmers Markets in Fairfax County and in the District of Columbia. Here is a daily list with links to thier websites of the Markets in Fairfax County. The Fall Book Sale will start on Thursday, October 21, at 5 pm. For the opening night, they have permission from Fairfax County Public Libraries to stay open until 9 pm. This is good news for shoppers because, normal library services will end at 6 pm. From 6 to 9 pm, the shoppers won't need to compete with library users for parking places. Since most of the staff will leave at 6 pm, we will have their parking places to use, too. Another bonus, after 6 pm, buyers have more choices inside the library for space for collecting their purchases before check out. The bad news for shoppers is that you won't be able to combine book sale and library use unless you arrive before 6 pm. After 6 pm, you will not be able to check out books, use the library computers, get a library card, ask for help from the Information Librarian, or pay bills. The sale will follow library hours on Friday and Saturday. Friday hours are 10 am to 6 pm. Saturday hours are 10 am to 5 pm. On Sunday, we will get a one hour jump on library hours (and get more parking spaces) by opening the sale at noon. Library services will start at 1 pm. Sunday hours end at 5 pm. As an added bonus for families planning to come to the sale on Saturday, Annandale is having their Fall Festival. The morning parade will include the Annandale High School Marching Band at over 100 strong. Generally, there is a fair showing of candidates for public office as well. The Fall Festival continues with activities in the parking lot of Safeway on Little River Turnpike, about a mile from the George Mason Regional Library. 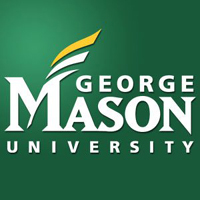 It's going to cost a lot more to attend George Mason University now that the Board of Visitors voted Thursday to raise tuition, fees and room and board for the 2010-2011 school year. In-state students will pay $950 more for a total of $16,624. Out-of-state students will fork over an extra $1,730, bringing the total to $33,338. The board says the hikes are necessary to continue existing academic programs. The decision is directly related to a cut in state aid for the public university by $4.5 million this year. The state university, located in the city of Fairfax, had an unanticipated surge in state applications over the past year and the trend has continued for next fall. The school has more than 19,000 undergraduate students. There will also be a six percent increase in tuition for both in-state and out-of-state graduate students at GMU. -Sept. 27-29, Oct. 1, 4 and 5: 8 a.m. to 6 p.m.
- Sept. 30: 8 a.m. to 6:30 p.m.
- Saturday, Oct. 2: 8 a.m. to noon. -Shoppers Food and Pharmacy and other Global Express locations – Bring cash payment and bill to pay at customer service desk at Shoppers Food and Pharmacy stores throughout Virginia. For additional Global Express locations, call 1-800-989-6669, option 3, then option 4. Only cash payments are accepted, and there is a $1.25 service fee by Global Express. -At banks – Pay by check or cash (not credit card) at Fairfax County branches of Bank of America, SunTrust and Wachovia. Residents must bring their bill and pay the exact amount billed. -By mail – Send bill and checks only (no cash) payable to the Fairfax County Department of Tax Administration, 12000 Government Center Parkway, Suite 223, Fairfax, VA 22035. Payments must be postmarked before or on Oct. 5. There is a 10 percent penalty plus interest for late personal property tax payments, and a 25 percent penalty for payments more than 30 days past due. Late payments are subject to multiple collection actions and additional fees. Personal property includes automobiles, trucks, motor homes, motorcycles, trailers, campers, boats, outboard motors, planes and business property. More information is available at www.fairfaxcounty.gov/dta. Bradwood Court will be closed from 8 p.m. Wednesday October 20th and will reopen about 10 a.m. Friday October 22nd. No trash should be placed on Bradwood Court for Friday pickup. 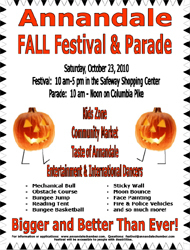 On Saturday, October 23, 2010, the Annandale Chamber of Commerce will sponsor a spectacular Fall Festival in the Safeway parking lot on Little River Turnpike. This is the largestpublic event in Greater Annandale. From 10:00 a.m. to 5:00 p.m. scores of merchants with hand made and fashion jewelry, ceramics, imported silks, pet accessories, art work, quality giftware from major manufacturers, exquisite crafts and so much more will fill the community market. Multiple rock bands and Jazz groups will set your toes tapping while “The Taste of Annandale”with food from many culinary cuisines will satisfy every taste craving. The Kid’s Zone will challenge with a Climbing Wall, 24' Dual Slides, Bungee Run, a Sticky Wall, an Obstacle Course, Moon Bounce, a Reading Test with costumed characters, a Musical Petting Zoo, a Treasure Hunt, and interactive games for toddlers to teens. The Annual Parade, held since 1950, will march along Columbia Pike from 10:00 a.m. to Noon and finish at the Festival Grounds. Click here for further information on the festival or parade. Engineering designs and financing for the High Occupancy Toll lanes project along the Interstate 95/395 corridor from Massaponax to the 14th Street Bridge could be in place in the next few weeks. The economy and design changes stalled the long planned HOT lanes. "We would still have to resolve the issue involving the lawsuit," says Virginia Transportation Secretary Sean T. Connaughton. A lawsuit filed by Arlington County is making its way through the courts. The suit seeks to halt the entire project along I-95/395. Arlington believes the state's environmental study was inadequate and that low-income and minority residents along the corridor would be harmed by new air pollution. Connaughton says Virginia would like to the 14 miles of HOT lanes being built along the Capital Beltway extend into Maryland. "In the long term, we would like to see Maryland pursue either HOT lanes or HOV (High Occupancy Vehicle) lanes on the Beltway that would simply connect right up there," Connaughton says. He says the state could have an agreement within the next few weeks to extend the HOT lanes 1.5 miles closer to the Maryland border. The project would end at the American Legion Bridge, rather than just north of the Dulles Toll Road. The extension would be paid for by Fluor-Transurban, the consortium of two private firms that partnered with the Virginia Department of Transportation to build the lanes. The state and civic groups would need to approve the project. Construction work related to the Dulles Rail Project will cause significant closures and detours in the Tysons Corner area for the rest of the month and into next month. Starting at 9:30 p.m. Friday, crews will shut down sections of eastbound Route 7 between Spring Hill Road and the southbound ramp of Route 123 in order to complete paving related to the widening of Route 7. 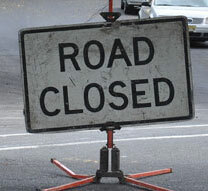 The left lane of Route 7 will be closed from 9:30 p.m. Friday until 2 a.m. Saturday. At 2 a.m., crews will then reopen the left lane and shut down the right and center lanes until 7 a.m.
More work on Route 7 will be done the first week of June. The left through lane of southbound Westpark Drive also will be closed Friday from 9:30 p.m. to 6 a.m. to allow crews to demolish a traffic island. Between May 20 and May 29, crews will repair portions of Galleria Drive, Tysons Boulevard and Route 123 that were damaged during previous work. The work, which is part of the Dulles Metrorail Project, will be done overnight during the weekend hours. Detours will be posted in the area. Additionally, you should expect intermittent lane closures on the Dulles International Airport Access Highway and the Dulles Toll Road. 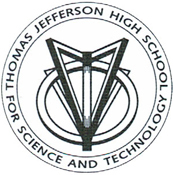 A former employee of Thomas Jefferson High School for Science and Technology pleaded guilty May 6 to stealing more than $279,000 in funds intended to support functions like student athletics, clubs, prom and graduation parties. Susan Thanh Litwin worked as a financial technician at Jefferson for a little over three years. She acknowledged taking money in chunks ranging from $2,500 to $35,000 from various school accounts during the period of March 1, 2008 to Jan. 25, 2010. According to the press release, Litwin used some of the funds to support a gambling habit, pay off a mortgage on her Woodbridge home and cover extensive personal debt. Litwin said she replaced some funds she had taken from the school. The United States Attorney for the Eastern District of Virginia is holding Litwin responsible for stealing $197,965.53 from Jefferson overall, according to a plea agreement signed by a federal prosecutor, Litwin and her attorney and filed May 6. Litwin pleaded guilty to a charge of theft from an organization receiving federal funds. She could face up to 10 years in prison, three years of supervised release, a $250,000 fine and a requirement to make full restitution to Jefferson and Fairfax County Public Schools as a result of the conviction. Her sentencing is scheduled for July 30. After her arrest, a magistrate required Litwin to refrain from all gambling, undergo mental health testing and treatment and attend gambling anonymous meetings as a condition of her release. She was also not allowed to open a new line of credit, according to a court order signed by the magistrate on March 5. Litwin has also forfeited a piece property she owned in Orlando, Fla. to federal officials. Fairfax County’s unemployment figures held at a record-high level of 5.5 percent in February. The locality’s current unemployment has jumped 1.2 percent, when compared to the same month a year ago. Fairfax County’s unemployment rate is lower than booth Virginia and the United States. 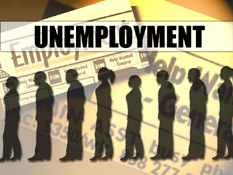 Unemployment in the commonwealth is at 7.7 percent and unemployment in the country held at 9.7 percent in February. Your Leewood Times editor would like to know how many residents would be interested in creating a Leewood Facebook page – how many of you are already on Facebook? 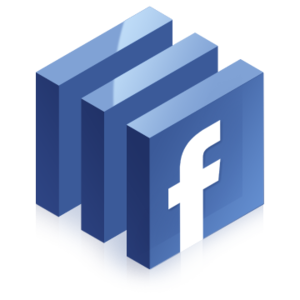 Businesses, local organizations, manufacturers and a myriad of companies use their Facebook page to facilitate quick interaction with their “followers” and have had great success. You Editor believes this would be a great tool to keep the community updated on a most consistent basis (this newsletter is only published once every 2 months) and it will provide you with a platform to voice your opinions, concerns, suggestions or simply just to stay in touch with your neighbors. Please send your thoughts on this to LeewoodTimes@cox.net and your Editor (and the Board) will take the time to create, monitor and answer questions if the residents think it will be useful. The popular “Entrepreneurship 101: Starting a Business in Fairfax County” seminars will continue in 2009 with nine sessions scheduled throughout the year. 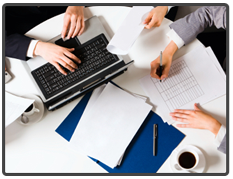 The Fairfax County Economic Development Authority (FCEDA) hosts the informative workshops for individuals interested in beginning a business in the county. More than 1,700 persons have attended the sessions since the FCEDA began them in 2003. The last 2009 workshop is scheduled for November 3rd. The Fairfax County Police Department is launching its seasonal public awareness effort to remind motorists to be on the lookout for deer as they travel the roadways this fall. Studies show that nearly one in every 136 Virginia drivers will be involved in a deer-related crash over the next 12 months. In Fairfax County, 45 percent of all deer collisions are recorded in October and November. During deer breeding season, October through December, adult deer are highly mobile. Due to inclement weather, your LHOA board meeting for this month has been cancelled. Your personal safety is very important to us, and was considered when evaluating the ability to travel to our meeting during severe weather. The agenda is posted online for you to view. We hope to see you at the next meeting. Please check back here for updated information. Thank you to all those who came by to drop off things for the Haitian Relief Effort. Both my car and trunk were full. Everyone at the embassy was very grateful for the donations. When Ron and I dropped the items off, the embassy was alive with volunteers who were sorting, boxing, carrying and working feverishly to move the donations out of the rain. It was an interesting and very heartwarming sight. NOAH (National Organization for the Advancement of Haitians) held a Survival Kit Drive on Sunday, January 17, 2010 from 11am - 4pm at the Embassy of the Republic of Haiti in Washington D.C. located at 2311 Massachusetts Avenue NW. Our good Nieghbors Lou Ann and Ron Filadelfo accepted your donations and brought them to the embassy on your behalf. Below are a list of items still needed. Many can be found at your local dollar store or even the One Spot in your local Target. Please spread the word to all because a MAJOR group effort is needed to get Haiti through this. Thank you in advance for all your prayers, help and support it is greatly appreciated. Think flat, lightweight, easily packable. Remember, L'union fait la force! For more information please contact NOAH at (718.755.0119) or (202.904.9070). The street work in Leewood will be in two phases and will begin Monday, August 30th. - Leebrad Street will be closed at 8pm on Sunday, August 29th and will remain closed until 8pm Tuesday, August 31st. - ALL cars from house # 7000 - 7027 MUST be moved during this time. - Cars that are not moved will be towed at the owner's expense. see below for more information. For Leestone Street and Leestone Court, use the Leestone Street entrance from Backlick Road. For Bradgen Court & Bradwood Court and the unaffected portion of Leebrad, use the Bradwood Street entrance from Braddock Road. Phase II - Sealcoating ALL of Leebrad Street - Thursday September 2nd. -DURING THIS TIME CARS ON BRADGEN COURT WILL NOT BE ABLE TO EXIT. ALL BRADGEN COURT RESIDENTS SHOULD PLAN TO MOVE THIER CARS PRIOR TO THE STREET CLOSING. All towed cars will be by Henry's. They can be reached at (703) 698-8900. Thank You for your patience while we make these improvements to your neighborhood. Virginia’s 11th Congressional District will see its first primary contest in 18 years next month. Supervisor Patrick Herrity (R-Springfield) and businessman Keith Fimian are vying for the chance to take on U.S. Rep. Gerry Connolly (D-11) next fall in what could be a competitive race. Primary voters go to the polls to decide between Herrity and Fimian June 8. In Virginia, voters do not register with a political party, so any person, regardless of political affiliation, can participate in the election to pick the Republican Party nominee. Fimian and Herrity share many of the same opinions when it comes to general matters of public policy. Both candidates said reducing the federal deficit would be a priority should they be elected to office. Both have hammered Connolly for support of the government health care reform bill and "cap and trade" legislation, which places a ceiling on emissions over concern about the environment but is frowned on by some business groups. Click Here for more information about the candidates. 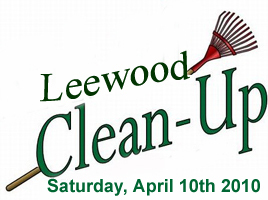 Not only is spring a time for revival, but it is also a time for Leewood's Annual Spring Cleanup! our community looking immaculate again. We will be picking up trash and clearing away the dead branches and other debris left by winter storms. Any tools and equipment that you can share will be appreciated. We will be meeting in front of 7026 Leebrad Street at 9:30am. Dead branches that were broken during our many winter storms need to be picked up and ready for trash collection. As your perennials come up, see how far they have migrated – you might want to trim some of them back so that other plants get some ground to grow. Of course along with the delight of perennials coming back, those uninvited weeds are also reappearing. Sometimes it seems as though the weeds grow into mature flowering beasts overnight. This is particularly troublesome, as the average weed seems to set thousands of seeds, and distribute them, in a matter of just days. 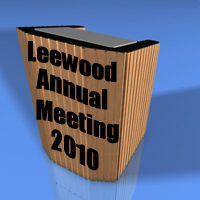 The Leewood Homeowners Association annual business meeting was held on March 9th, 2010 at 8:00 p.m. in the Auditorium at the Philips School Located at the Northwest corner of Braddock and Backlick Roads at 7010 Braddock Road, Annandale, VA.
Two spots on the board were filled. Janet Rourke was re-elected for another term, and Lynda Flynn was elected as the newest member of your LHOA board of directors. The minutes will be posted here as soon as they are voted on at the next meeting. Congratulations to both and thank you for your service to our community. Following this winter’s snowstorms, potholes have become a growing concern for commuters. Machines known as "pothole killers" have begun to start filling Northern Virginia's potholes. "We will get those potholes filled as fast as we can. Now, it is going to be a monumental task this winter," says Virginia Department of Transportation spokeswoman Joan Morris. VDOT will rent three or more of the machines to get the job done. "Pothole killers" can fill 100 holes a day. They allow a single worker to fill a pothole without leaving the machine's seat. "They can knock out a bunch of potholes per day, a lot more than a regular pothole crew can. We already have them lined up. We will be using them throughout Northern Virginia," Morris says. Click here to report a pothole in our area. When it comes to this winter, there's no question it has been a doozy. So how does it all break down? This winter dumped 56 inches of snow at Ronald Reagan Washington National Airport. In February alone, Reagan saw 32 inches, while 46 inches fell at Dulles International Airport and 49 inches at Baltimore-Washington International Thurgood Marshall. Estimated amount of snow removed from Northern Virginia roads in February: 20,200,000 tons. 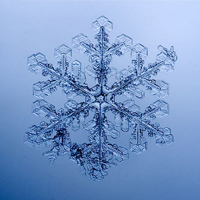 About 12,000,000 Olympic-size pools would be needed to hold all snowmelt and rain from the first blizzard, according to the National Oceanic and Atmospheric Administration. An average 155-pound person shoveling snow for half an hour burns 223 calories. Virginia State Police answered calls to 1,713 accidents on the first weekend of the storm, Feb. 5-7. Virginia Megaprojects are a series of large-scale transportation improvements designed to ease congestion and provide you with new, better choices for getting where you need to go. Together, these Megaprojects will not only enhance our interstates, roadways and neighborhoods – they’ll completely transform the way we travel in Northern Virginia. Northern Virginia congestion is the second worst in the country, and improvements and expansions are long overdue. construction is taking place right now. These projects include construction of the final two miles of the Fairfax County Parkway from Rolling Road to Fullerton Road, the final phase of the Wilson Bridge project - the I-95 Telegraph Road Interchange, the Dulles Corridor Metrorail, which will link downtown D.C to the Dulles International Airport, High Occupancy Toll (HOT) lanes on I-95/395 and the Capital Beltway (I-495), and the Defense Department’s Base Realignment and Closure (BRAC) program at Fort Belvoir, Virginia. Fairfax County has online forms to use to report complaints, concerns and issues. They include a Home and Property Report Form to use to report excessive debris, noise, building heights, home businesses, junk vehicles and many other issues. A Tenant-Landlord Complaint Form for disputes involving tenants and landlords. A Crime Report Form to report graffiti, civil disputes, destruction of property, disorderly conduct, alcohol violations, identity theft, trespassing, telephone threats and many other issues. An Aggressive Driver Form to report aggressive drivers within 10 days of observation. A Police Department Complaint Form to file a report against police officers or staff. A Lost or Found Pet Form to use to report lost or found dogs, cats, rabbits and other animals. A Consumer Complaint Form for disputes involving a business in Fairfax County. To report other issues not listed there, call 703-FAIRFAX (703-324-7329), TTY 711, or consult the county's online directory or hotlines. Every day is the right day to start saving your hard earned money, though it is more important during these tough economic times. 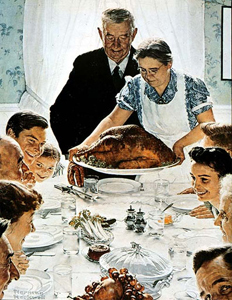 The editors of the Leewood Times have scoured the internet and have listed 345 tips that can save you and your family money and help you get out of debt. Your LHOA has approved a new type of door for your home. See picture above. Wooden, metal or fiberglass doors are permissible. The glass should be clear, un-frosted, uncolored, un-etched, non-bevel glass without ornamentation. Brass kick plates not to exceed 6 inches in height are permitted. Doors should ideally be the same color as shutters and a different color from the trim color. Click Here for the full architectural standards page. NOTE: Please do not put your trash out on Christmas Eve. NOTE: Please do not put your trash out on New Year’s Eve. place trees in plastic bags.